Many books speak of the ‘60s—pop culture, the Beatles, John F. Kennedy, Vietnam War, civil rights, walking on the moon—but not from the eyes of an elementary school boy growing up on the prairie in Central Texas. This is a humorous and tear-jerking look back in time, a thought-provoking and entertaining look at history and people. 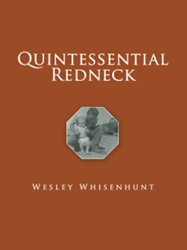 Wesley Whisenhunt is a native Texan raised around Gatesville in Coryell County. He attended college in Killeen and worked in the electronic manufacturing industry for over three decades while dabbling in raising cattle, goats and poultry. Whisenhunt traveled for business and pleasure to 22 states and for business to Puerto Rico, Mexico, Malaysia, Japan, Singapore and China. Most notably, 15 trips to China. This country boy who never wanted to leave Coryell County without a baseball glove and a bible was sent with a laptop computer and his homespun humour across the globe telling stories and solving issues wherever he went.